Spoor, M., X. Shi and C. Pu (2014), ‘Small Cotton Farmers, Livelihood Diversification and Policy Interventions in Southern Xinjiang’. In H. Zhang (Ed. ), China’s Rural Livelihoods in Transformation, London and New York: Routledge. Spoor, M. L. Tasciotti and M. Peleah (2014), ‘Quality of Life and Social Exclusion in Rural South, Central and Eastern Europe’, Post-Communist Economies, 26 (2): 201-219. Visser, O., M. Spoor and N. Mamonova (2014), ‘Is Russia the emerging “Breadbasket”? Re-cultivation, agroholdings and agricultural production, Europe-Asia Studies, 66 (10): 1589-1610. Visser, A., Mamonova, N.V., Spoor, M. & Nikulin, A. (2015), ‘“Quiet Food Sovereignty” as Food Sovereignty without a Movement? Insights from Post-Socialist Russia’, Globalizations (forthcoming). Spoor, M., P. Jiang, and M. Arsel (2013), ‘Local Climate Change and Water Distribution in Xinjiang’. In M. Salih, Local Climate Change and Society, London and New York: Routledge, pp. 74-89.Routledge. Visser, O., N. Mamonova and M. Spoor (2013), ‘Oligarchs, megafarms and land reserves: understanding land grabbing in Russia’. In B. White, S. M. Borras, R. Hall, I. Scoones and W. Wolford (Eds. ), The New Enclosures: Critical Perspectives on Corporate Land Deals, London and New York: Routledge, pp. 281-314. Borras, S. M. Jr., J. C. Franco, S. Gómez, C. Kay and M. Spoor (2013), ‘Land grabbing in Latin America and the Caribbean’. In B. White, S. M. Borras, R. Hall, I. Scoones and W. Wolford (Eds. ), The New Enclosures: Critical Perspectives on Corporate Land Deals, London and New York: Routledge, pp. 227-254. Borras, S.M. Jr., M. Spoor and H. Veltmeyer (2013a), ‘Preface’. In J.D. van der Ploeg (2013), Peasants and the Art of Farming: A Chayanovia Manifesto, Halifax and Winnigeg: Fernwood Publishing, pp. x-xi. Borras, S.M. Jr, M. Spoor and H. Veltmeyer (2013b), ‘Preface’. In P. McMichael (2013), Food Regimes and Agrarian Questions, Halifax and Winnipeg: Fernwood Publishing, pp. xi-xii. Spoor, M. (2013), ‘Multidimensional Social Exclusion and the “Rural-Urban Divide” in Eastern Europe and Central Asia’, Sociologia Ruralis, 53 (2): 139-157. Spoor, M. and M.J. Robbins (2012) (Eds. ), Agriculture, Food Security, Inclusive Growth, The Hague: Society for International Development/International Institute of Social Studies/Food First, 80 pp. Visser, Oane, Natalia Mamonova and Max Spoor (2012), ‘Oligarchs, megafarms and land reserves: understanding land grabbing in Russia’, Journal of Peasant Studies, 39 (3-4): (599-631). Borras, Saturnino M. Jr., Jennifer C. Franco, Sergio Gomez, Cristobal Kay and Max Spoor (2012), ‘Land grabbing in Latin America and the Caribbean’, Journal of Peasant Studies, 39 (3-4): (845-872). Spoor, Max (2012), ‘Agrarian reform and transition: what can we learn from ‘the east’?’, Journal of Peasant Studies, 39 (1): 175-194. Spoor, Max, Murat Arsel and Jiang Pingan (2012), ‘Local Climate Change and Water Distribution in Xinjiang’, in M Salih (Ed. ), Local Climate Change and Society, pp. 74-89, London and New York: Routledge (Forthcoming). Spoor, Max, Shi Xiaoping and Pu Chunling (2012), ‘Small Cotton Farmers, Livelihood Diversification and Policy Interventions in Southern Xinjiang’, in H Zhang (Ed. ), China’s Rural Livelihoods in Transition. London and New York: Routledge (Forthcoming). 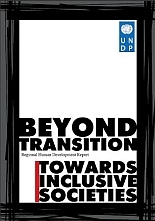 UNDP (2011), Beyond Transition: Towards Inclusive Societies, ECIS Regional Human Development Report, Lead Author, Bratislava: United Nations Development Programme, Europe and the CIS. Visser, Oane and Max Spoor (2011), ‘Land Grabbing in post-Soviet Eurasia’, The Journal of Peasant Studies, Vol 38 (2): 299-323. Spoor, Max (2011), ‘The “Dragon” and the “Elephant” and Global Imbalances’, in: Syed Mansoob Murshed, Pedro Goulart and Leandro A. Serino (Eds. ), South-South Globalization: Challenges and Opportunities for Development. London and New York: Routledge, pp. 241-59. You, Liangzhi, Max Spoor, John Ulimwengu and Shemei Zhang (2011), ‘Land use change and environmental stress of wheat, rice and corn production in China’, China Economic Review, 22 (4), 461-73). Spoor, M. (2011). Crisis and Exclusionary Growth in Europe’s East. In P.A.G. van Bergeijk, A. de Haan and R. van der Hoeven (Eds. ), The Financial Crisis and Developing Countries (pp. 171-184). Chattenham and Northampton: Edgar Elgar. Spoor, M. (2011). The ‘Dragon’ and the ‘Elephant’ and Global Imbalances. In S.M. Murshed, P. Goulart and L. Serino (Eds. ), South-South Globalization: Challenges and Opportunities for Development (pp. 241-259). London and New York: Routledge. Beckmann, Volker, Nguyen Huu Dung, Xiaoping Shi, Max Spoor and Justus Wesseler (2010) (Eds. 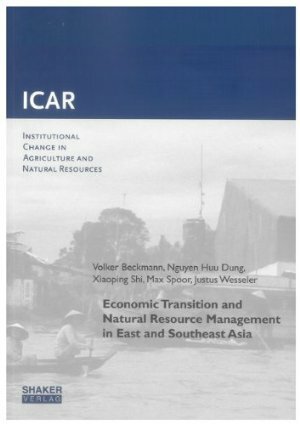 ), Economic Transition and Natural Resource Management in East- and Southeast Asia, Aachen: Shaker Publishers. Arsel, Murat and Max Spoor (Eds.) 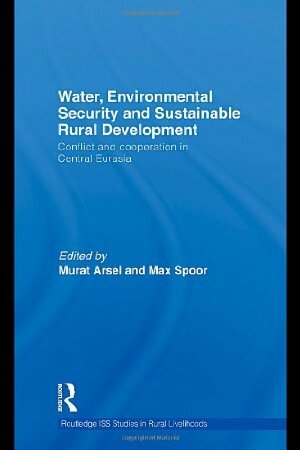 (2010), Water, Security and Sustainable Rural Development, Conflict and Cooperation in Central Eurasia, London and New York: Routledge. 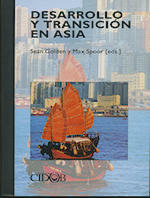 Spoor, Max y Sean Golden (2010), ‘Introduccion’, en: Sean Golden y Max Spoor (Eds), ‘Asia en desarrollo: escenarios de riesgo y oportunidades’, Revista CIDOB d’Afers Internacionals, Vols. 89-90: 7-14. 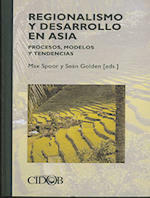 Spoor, Max (2010), ‘Asia en la Economia Mundial’, en: Sean Golden y Max Spoor (Eds), ‘Asia en desarrollo: escenarios de riesgo y oportunidades’, Revista CIDOB d’Afers Internacionals, 89-90: 45-62. Spoor, Max (Ed.) 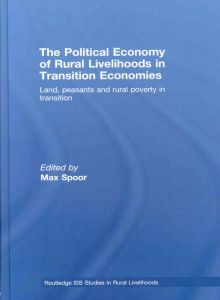 (2009), The Political Economy of Rural Livelihoods in Transition Economies; Land, Peasants and Rural Poverty in Transition. London and New York: Routledge. Spoor, Max (2009), ‘Rural Poverty, Cotton Production and Environmental Degradation in Central Eurasia’, in: Mohamed Salih, Climate Change and Sustainable Development: New Challenges for Poverty Reduction. Cheltenham UK: Edward Elgar, 156-78. 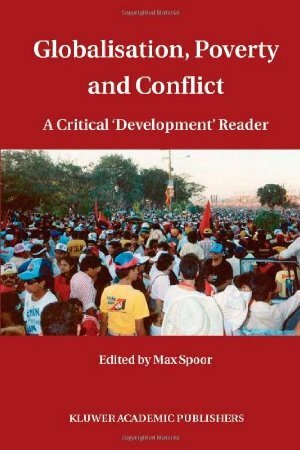 Spoor, Max (2009), ‘Economias de Asia Central: hacienda frente a nuevos retos’, in: Anuario Internacional CIDOB 2009, Barcelona: CIDOB, pp. 45-55. Veldwisch, Gert Jan and Max Spoor (2008), ‘Contesting Rural Resources: Emerging “Forms” of Agrarian Production in Uzbekistan, The Journal of Peasant Studies, Vol. 35 (3): 424-51. 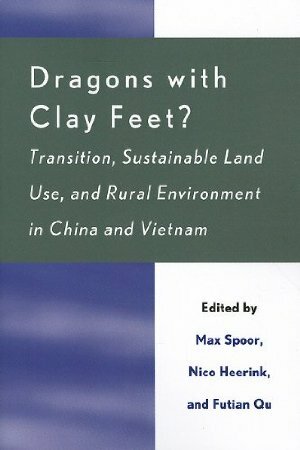 Spoor, Max, Nico Heerink, and Futian Qu (2007) (Eds. ), Dragons with Clay Feet? Transition, Sustainable Land Use and Rural Environment in China and Vietnam, Lanham and Oxford: Rowman and Littlefield, Lexington Books. Spoor, Max (2007), ‘Land Reform, Rural Poverty and Inequality in Armenia: A Pro-Poor Approach to Land Policies’, A. Haroon Akram-Lodhi, Saturnino M. Borras Jr., and Cristobal Kay (Eds. ), Land, Poverty and Livelihoods in an Era of Globalization, London: Routledge, pp. 188-220. Ho, Peter and Max Spoor (2006), ‘Whose Land? The Political Economy of Land Titling in Transitional Economies’, Land Use Policy, Vol 23: 580-87. Spoor, Max (2006), ‘Uzbekistan’s Agrarian Transition’, in: Chandra Suresh Babu and Sandjar Djalalov (Eds. ), Policy Reforms and Agriculture Development in Central Asia, Boston: Springer, pp. 181-204. Spoor, Max and Sean Golden (2006) (Eds. ), Regionalismo y Desarrollo en Asia: Procesos, Modelos y Tendencias (Barcelona: Ediciones Bellaterra, with CIDOB and CUIMPB). Golden, Sean and Max Spoor (2005) (Eds. ), Trancision y Desarrollo en Asia (Barcelona: Ediciones Bellaterra, with CIDOB and CUIMPB). Spoor, Max (2004), (Ed. ), Globalisation, Poverty and Conflict, Dordrecht, Boston and London: Kluwer Academic Publishers. Spoor, Max and Oane Visser (2004), ‘Restructuring Postponed? Large Russian Farm Enterprises ‘Coping with the Market’, The Journal of Peasant Studies, Vol 31 (3&4): 515-51. Spoor, Max (2003), (Ed. ), Transition, Institutions and the Rural Sector, Lanham and Oxford: Rowman and Littllefield, Lexington Books. Spoor, Max and Anatoly Krutov (2003), ‘The “Power of Water” in a Divided Central Asia’, Perspectives on Global Development and Technology, Vol. 2 (3-4): 593-614. Spoor, Max (2002), ‘Policy Regimes and Performance of the Agricultural Sector in Latin America and the Caribbean during the Last Three Decades’, Journal of Agrarian Change, Vol. 2(3): 381-400. 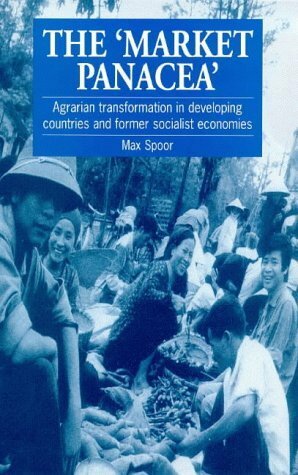 Spoor, Max and Oane Visser (2001), ‘The State of Agrarian Reform in the Former Soviet Union’, Europe-Asia Studies, Vol. 53 (6): 885-901. Spoor, Max (2000), ‘”White Gold” versus “Food Self-Sufficiency”? Agrarian Transition in FSU Central Asia’, in Arie Kuyvenhoven, Henk Moll and Aad van Tilburg, Markets beyond Liberalization, New York/London: Kluwer International, pp. 57-74. UNDP (2000), Beyond Transition: Ten Years after the Fall of the Berlin Wall, Edited by Max Spoor, New York: United Nations Development Programme. Spoor, Max and Fatos Tarifa (2000), Albania: The First Decade and After, The Hague: CESTRAD/ISS. Spoor, Max (1998), ‘The Aral Sea Basin Crisis: Transition and Environment in Former Soviet Central Asia’, Development and Change, Vol. 29 (3): 409:435. Spoor, Max (1997), (Ed.) The “Market Panacea”: Agrarian Transformation in Developing Countries and former Socialist Economies, London: Intermediate Technology Publications. Spoor, Max (1997), ‘Upheaval Along The Silk Route: The Dynamics of Economic Transition in Central Asia’, Journal of International Development, Vol. 9(4): 579-87. Spoor, Max (1996), ‘Mongolia: Agrarian Crisis in the Transition to a Market Economy’, Europe-Asia Studies, Vol. 48 (4): 615-28. Spoor, Max (1995), The State and Domestic Agricultural Markets. Nicaragua: From Interventionism to Neo-Liberalism, London/New York: Macmillan/St. Martin’s Press. Spoor, Max (1995), ‘Liberalization of grain markets in Nicaragua: from market substitution to state minimalism’, Food Policy, Vol 20 (2): 99: 110. Spoor, Max (1994b), ‘Neo-liberalism and Institutional Reform in Post-1990 Nicaragua: The Impact on Grain Markets, Bulletin of Latin American Research, Vol. 13 (2): 185-202. Spoor, Max (1994a), ‘Issues of State and Markets: From Interventionism to Deregulation of Food Markets in Nicaragua’, World Development, Vol 22 (4): 517-33. Spoor, Max (1993), ‘Transition to Market Economies in Former Soviet Central Asia: Dependency, Cotton and Water’, European Journal of Development Research, Vol. 5 (2): 142: 58.